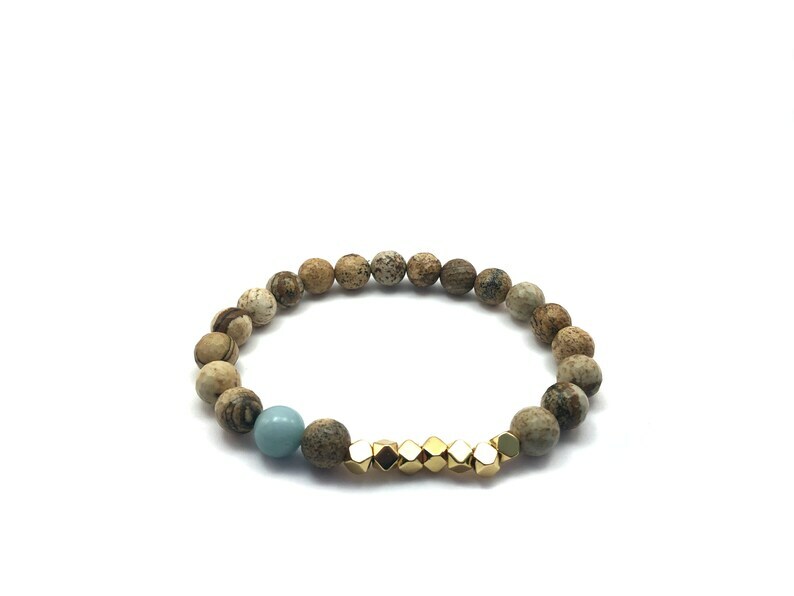 This trendy bracelet is made of stones that will help with intentions of grounding, harmony, and anxiety. It is an Eart Star Chakra bracelet. Check the Gemstone Intentions section for more. - Picture Jasper: Strong connection to earth. It brings harmony to mind, body, and soul and alleviates stress. Brown/Beige Color: Earth Star Chakra.